If you fell off the gluten-free train , you’re not alone. Being gluten-free isn’t as hip as it used to be. 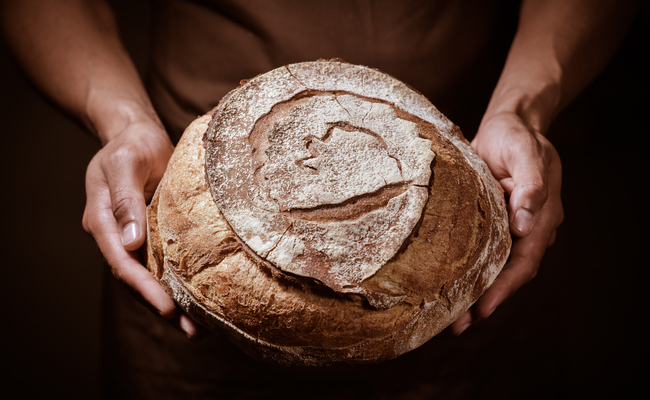 Across the US, the gluten-free trend is slowing its pace as people are turning their sensitive palates towards more authentic, traditional foods… like sourdough. Yes, even those who consider themselves to have gluten sensitivities. No one can deny that bread is a traditional food. The oldest bread discovered was found in Switzerland and dates back to 3500 BCE. For thousands of years humans have been enjoying bread as a dietary staple. Until commercial yeast was invented, all leavened bread was made over the course of many days using wild, natural yeasts—which means it was all sourdough. And it was way healthier. Modern, mass-produced breads tend to eschew tradition and nutrition in favor of convenience and speed, using bleached flours, commercial yeast and added sugar to kickstart the process. This creates a bread high in gluten, high in sugary carbs and low in nutrition. In general, we have lost sight of the tradition and nutrition of bread baking in favor of convenience. And it’s making us sick. So what does this have to do with those who are gluten intolerant? If you are mildly gluten intolerant, you may be able to enjoy sourdough without issue. The natural fermentation of the sourdough breaks down the bulk of the gluten proteins, making it easier to digest. There are two types of gluten intolerance: celiac and non-celiac. Research has shown that sourdough is generally well tolerated among those who are non-celiac gluten sensitive (and even among some with celiac, although I don’t recommend trying). Why can some of us who are gluten sensitive tolerate sourdough? Perhaps gluten is not the real issue. If you generally don’t feel well when you consume gluten-containing foods, it could be anything from an imbalanced microbiome to glyphosate sensitivity to FODMAP sensitivity to unhealthily high levels of gluten (like in modern breads) and beyond. Yet, we are all quick to point the finger at gluten because it’s easy and already considered inflammatory. But interestingly, the vast majority of people who have deemed themselves gluten-sensitive do not actually meet the clinical criteria of non-celiac gluten sensitivity, which means your sensitivity may be misdiagnosed. Gluten itself may not be your demon after all, in which case, sourdough bread might be well tolerated by you. 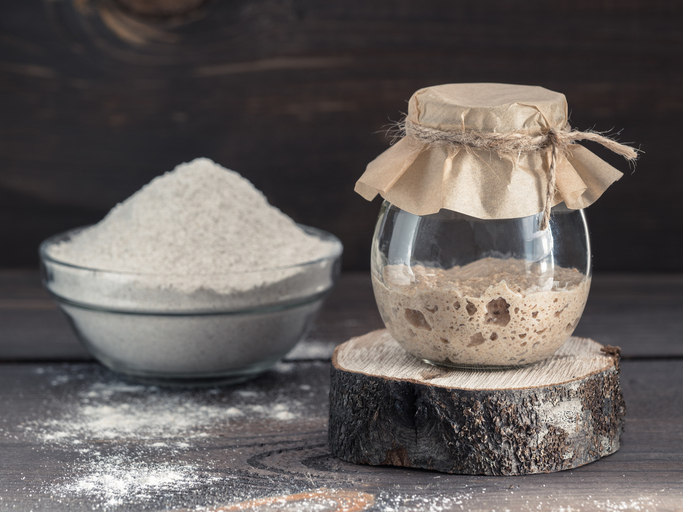 When you’re buying sourdough bread, it is crucial to make sure your sourdough is traditionally made. Some white breads that bear the label ‘sourdough’ may in fact have very little sourdough added to lend flavor. In that case, they are no longer a health food. The healthful part about sourdough is actually the lengthy process that the bread undergoes, not the flavor. In fact, don’t be fooled by the label ‘whole grain’ either. Just because the label says ‘whole grain’ does not make a bread healthy. Most whole grain breads in the supermarket are just as sugary and processed as a bleach-white loaf of Wonder bread. Opt for fresh or frozen sourdough from a good bakery and look for only 3 ingredients: unbleached flour, water, salt. That, along with time, is literally all it takes to make real sourdough bread. But let’s be clear, sourdough bread is by no means gluten-free, so if you have a serious gluten intolerance, DO NOT EAT IT. Although the gluten levels are very significantly reduced, the fermentation process does not break down all of the gluten proteins entirely. But for those of us who simply feel a little crappy when we eat a slice of store-bought bread and are looking for a more nourishing option, sourdough may be the answer. Do you have a mild gluten sensitivity? Does sourdough sit well with you? Share your experiences with the community below. Should We Be Taxing Single-Use Cups? Thanks Jordyn for sharing the info. I always assumed that if the package said sourdough it had been made correctly. Will check the label to see if unbleached flour, water, salt are the only ingredients.